Rich in antioxidants and vitamin C, blueberries are touted as one of the “super foods.” Sales for blueberries and other berries have increased exponentially, as have prices. This has led many gardeners to cultivate their own blueberries. While it’s more than worth it to grow your own berries, cultivating blueberries is not without its share of pitfalls. Amongst the disasters that might befall your berry plants is blueberry bud mite damage. What are blueberry bud mites and how can you control blueberry bud mites? What are Blueberry Bud Mites? Blueberry bud mites (Acalitus vaccinii) are tiny arthropods that live and feed inside the fruit buds of both huckleberries and blueberries. These tiny creatures can be found through most of eastern North America extending from the ocean provinces of Canada to southern Florida and into Texas. 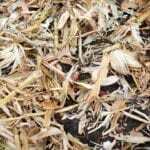 Mild winters in the southern areas of its reach result in the most severe infestations. Blueberry bud mites are white and only about 1/125 inch long. Since they are so tiny, how to you go about identifying blueberry bud mites? Well, yes, you would need a microscope which would show it to be a soft arthropod with two pairs of stubby legs near its anterior end; other mites have four pairs of legs. The mite is spindle shaped, sac-like and, with only two legs, can barely move. In extreme cases of blueberry bud mite infestation, you certainly won’t need a microscope to see blueberry bud mite damage. These mites feed on the buds scales and leaf and floral parts within the bud. The resulting damage appears as red blisters within two weeks of infestation. Continued feeding by the mites may eventually kill the whole bud. As a result of this damage, fruit, of course, will be affected. Berries will be misshapen and uneven often accompanied by the signature red blisters of blueberry bud mite damage. Large mite populations can decimate most, if not all, of the berries. Learning about the life cycle of the mites will make blueberry bud mite control more accessible and understandable. First off, mites spend most of their life inside the fruit buds. Eggs are laid inside the bud scales whereupon the nymphs hatch and begin eating. Within 15 days, mites reach sexual maturity. As spring buds open, mites leave their overwintering sites and move up the stem to the base of young shoots to feed and eventually procreate. As the population grows, the mites move farther into the center of the bud. By late summer, mites are deeply rooted in infested buds. There is continued feeding, egg laying and colony growth through the fall and winter, peaking in December or January. Mild winters tend to boost population growth, followed by the most severe bud damage in the spring. 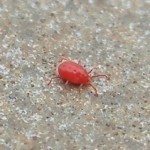 Just as most organisms, bud mites have several natural enemies. A fungal parasite and several types of predatory mites have been shown to feed on blueberry bud mites. Unfortunately, they have not been shown to be very effective in blueberry bud mite control. Once the evidence of blueberry bud mites has been ascertained, an application of an approved miticide one month apart immediately following harvest, can give sufficient mite control. Apply the spray as early as possible before the mites infiltrate too deeply into the buds, destroying the tissues that produce the successive year’s fruit. Also, while no cultivars are completely immune to bud mites, certain varieties seem to be more susceptible. Those that ripen early in the season and set buds late in June are more prone to infestation. Thus, V. ashei, a late ripening species is less likely to be heavily infested than say, the early season highbush blueberry, V. coymbosum. Look for blueberry varieties that ripen later in the season to curtail the incidence of blueberry bud mites. Lastly, pruning out old canes can aid in reducing the bud mite population in mature plantings.